Contact Us at Southeastern Septic LLC to Schedule Routine or Emergency Septic Tank Pumping in Lakeland, Winter Haven, Auburndale, Bartow, Mulberry, and Polk City, FL. Lakeland Septic Pumping – You probably don’t think much about your septic tank, and that’s okay when it’s working properly and not having any problems. However, without regular routine maintenance, your system could back up, causing flooding and other unpleasant problems. Approximately 33% of homes in the United States have a septic tank in lieu of traditional plumbing, so there are thousands of businesses across the country that specialize in this procedure. 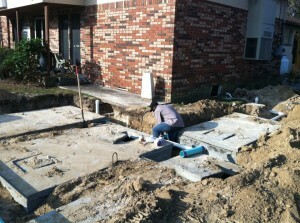 If you live in the Lakeland, Florida area, there’s one clear choice for septic tank pumping: Southeastern Septic LLC. Our septic tank pumping technicians in Lakeland, Auburndale, Winter Haven & Bartow will bring a pump truck to your property, where we will flush out the system, pump out all built up waste, and completely remove it from your property. Many septic systems have grease traps, and we can also clean those out as part of this septic tank pumping process. 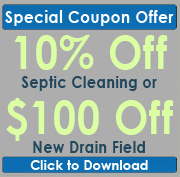 With a septic tank, all of the drains in your home (including sinks, floor drains, toilets, shower drains, etc.) will exit the house via one pipe that leads to the tank, which is buried underground. Once it reaches the tank, it begins to separate the different waste materials based on weight and density. Heavier material sinks to the bottom, where bacteria and chemicals begin treating it and breaking it down. Lighter material rises to the top, and the liquids leave the tank into the drain field where they can be filtered by the ground soil. In order to ensure that each of these steps works properly, contact us at Southeastern Septic LLC to schedule routine septic tank pumping. Providing the most reliable septic pumping services in all of Auburndale, Zephyrhills, Bartow, Lakeland, Mulberry, Polk City, Winter Haven, Plant City, and Polk County.